Everything you put in your mouth has consequences – whether it’s food, alcoholic drinks, cigarettes, or drugs/medicines. There are a number of ‘modifiable lifestyle risk factors’ – so let’s consider them one at a time below. Your body is a machine and only works as well as the nutrients you put into it. 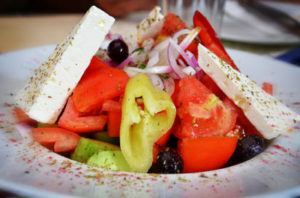 Follow a diet such as the Mediterranean diet – rich in fruit and vegetables, high in unsaturated fats such as olive oil, plus fish but with limited red meat and dairy products. Time to weigh yourself, then measure your height, and use this handy BMI (Body Mass Index) calculator to work out your BMI. For best health your BMI should be between 21-25. If your BMI is raised, how can you lose weight? Your GP can offer practical advice and support about helping you to lose weight. You need to eat less, and exercise more. Your doctor may refer you to a Slimming Group for example. There are also a large range of products available, designed to help weight loss. In addition, getting fit is sociable, and can be fun – a way to make new friends and feel good about yourself. There are numerous ways to get fitter and more active, many you can do at home and are totally free. Why not start by taking this quiz from the British Heart Foundation, How Healthy Are you Really? Do you know the safe limits of alcohol? The NHS recommends no more than 14 units per week, one unit being half a pint of low strength beer, or one 100ml glass of low strength (11%) wine. Consider ways you can cut down on your drinking. It’s easier if you get your partner on board and you do it together, saving a bottle of wine for a treat like a romantic night in! Rather than pouring the wine as reflex action every night, when you get in from work. Alcohol is actually a depressant- any euphoria from drinking is temporary – you will actually feel brighter and happier from drinking less! Not to mention losing weight – as alcohol contains lots of calories. Could this be your year to quit smoking? Cigarette smoke contains more than 7000 chemicals, many of which are directly known to cause cancer. Do something amazing for yourself – and stop smoking! Do it today! Do you really want to smell of cigarettes, develop yellow nicotine fingers, bad breath, gum disease and premature ageing/wrinkly skin? NHS Stop Smoking services are free of charge – to help you. The benefits of giving up smoking are huge. Your GP will discuss the best way to stop smoking. They can prescribe a range of products to help block the cravings such as Champix (varenicline). Drug addiction is a serious problem. You can get help for this just as you can for any other medical problem. Go and talk to your doctor. They will put you in touch with specialist agencies which can help you. You are offered a series of screening appointments by the NHS – make sure you are up to date? Don’t miss these opportunities (listed below) to look after your health! You do need to be registered with a GP to take advantage of these appointments. You should receive an appointment letter, inviting you to be screened. If you do not receive a letter – contact your GP. Cervical smears – all women in the UK are offered a cervical smear: from age 25-49, every 3 years, and from age 50-64 every 5 years. Try not to be too worried about going for a smear test – it’s really not that bad! It’s over very quickly, and having a smear, might save your life! Read one person’s story here! Mammograms are currently offered to women on the NHS between the age 50-71, every 3 years. Early detection leads to improved chances of survival. In the meantime do check your breasts regularly – Be Breast Aware, and go for help immediately if you notice any abnormalities. You are entitled to a free NHS Health Check between the ages of 40 and 74. At this appointment all issues such as BMI, smoking, alcohol, blood pressure and cholesterol, lifestyle and fitness, will be assessed. You will be offered one bowel screening visit when you are 55 or over. Early detection of bowel cancer improves outcomes. Aged 60 to 74 years, you will be offered a home testing kit every 2 years. Read Shane’s Story. Don’t be embarrassed – just do the test! Abdominal Aortic Aneurysm Screening is offered to all men in their 65th year. Early detection saves lives. Dental checks and eye checks are also recommended. These are partially NHS funded. Poor dental health is associated with poor general health. Looking after your eyes is similarly vital to help you stay well, and live well. Don’t neglect these checkups! All women resident in the UK, are entitled to free NHS, contraceptive and sexual health care. All types of contraception are available in the UK, free of charge. You can visit your GP, or a community Sexual Health clinic. Menopause care and advice may be offered by your GP practice. But if this is not the case, or if you need a specialist opinion, you can ask to be referred to a specialist menopause clinic. Find the nearest clinic to you. It’s very important also to look after your mental health. Good mental health, means you can function optimally in your daily life. When you are in good mental health, you are able to learn, to build and sustain healthy relationships, and to cope with change, and challenging situations. Your mental health has a strong correlation with your physical health. Why not take the first steps yourself towards positive mental health? You can access NHS mental health services, some of which do not need a GP referral. 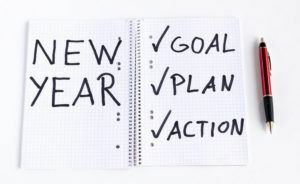 Make your New Year’s Resolutions work for you! There is much you can do to be pro-active about your health. Your future is in your hands – no-one can do this for you! It’s never too late to develop a healthy lifestyle. Getting fitter, slimmer and healthier is actually fun – and you may make a lot of new friendships along the way. Plus, get in touch with your GP and find out about your screening appointments. Be well, stay well, and have a happy 2019! Posted on December 31, 2018 December 31, 2018 by Dr Tony Steele in Health News.